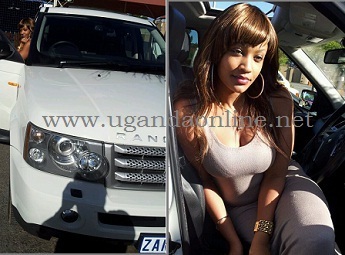 South African based Ugandan socialite Zari Hassan's reality show dubbed The Boss Lady (TBL) will start showing on state owned Uganda Broadcasting Corporation (UBC) any time soon. The reality show is expected to have scenes from her All White Parties in UK and Uganda, her life as a mother of three, introduction ceremony, Charity visits, the cars, family, thongs and shoes and of course not forgetting the cat fights. She confirmed this to a few friends that it's officially launching on UBC and one should expect entertainment, drama, fashion and glamour. She added; "Swagga just started TBL premiering soon, YES hate is expected but there is no stopping me. Nuggu? No. Its an obsession with me, lol.."
She also knows that hate is expected. Just recently, she was at war with Judith Heard, another socialite over the auction of the Chameleone phone at the Valu Valu concert. We can't wait to see this reality show though the organisers should be mindful of the fact that the mother of the reality shows, Big Brother is around the corner and nothing comes in it's way.